Edison, named for its most famous resident, inventor Thomas Alva Edison, can be called the birthplace of modern life as we know it. It was here at his Menlo Park complex that Thomas Edison created the incandescent electric lightbulb and 300 other inventions, providing residents with not only a place of employment but also a source of national pride. Known as Raritan Township until 1954, Edison was a slow-paced agricultural community until the twentieth century, with farms remaining until the 1950s. After World War II, in the country's rush to house returning war veterans, the expansive farmland became desirable real estate . Edison celebrates the township's history from its rural beginnings as a collection of small villages, to the arrival of the automobile culture on the Lincoln Highway and super highway U.S. Route 1, to its coming-of-age as a modern suburban community during the mid-twentieth century. 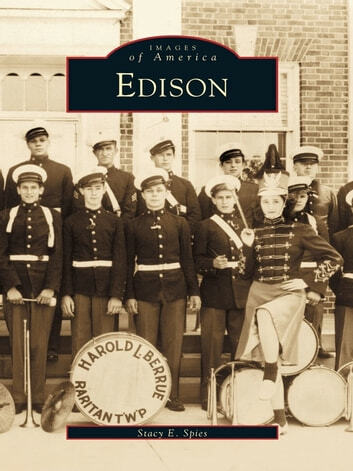 This book combines photographs from the collections of the Metuchen-Edison Historical Society and the National Park Service, with some of the hundreds taken in the early years of the twentieth century by J. Lloyd Grimstead. Edison includes the many villages that make up the township: Oak Tree, Bonhamtown, Piscatawaytown, Stelton, New Durham, Pumptown Corners, New Dover, and Potters.